Which is the hairstyle you prefer from the following? Poll? 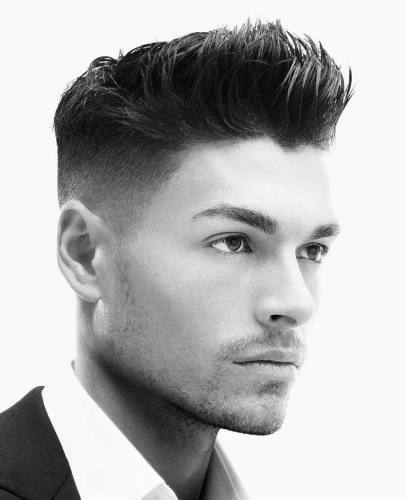 Keep the hairstyle you already have , it looks good! The poll is on tie.. and i dont know to do! B, or the one you already have are good. Because you got a tie on your poll. You can just get a nice cut like the spikey or hawk one, and in the morning you can style it differently depending on your mood that day, and then you can switch between different styles. My profile pic.. the hairstyle.. how's it? I just got it a bit straight up not slant like before... thanks! They're all a bit clean cut for me. I'd rather my shaved head. Voted D but A is my favourite, you can try this too. that's not a faux hawk. Home > Fashion & Beauty > Which is the hairstyle you prefer from the following? Poll?